I need a top plate nut, # 0513828, for an old Muskin Pool. Any suggestions? Hi Anthony. Here is a link to a store that sells Muskin above ground pool parts. I am not sure they have what you need but it might be worth a try. They have quit using those nuts but I would hope some are still available. Here is a recent post asking the same question along with my reply. We here @ Swim-In Pool Supply in Las Vegas, have a very large Muskin inventory of various parts. We have been in business for 56 years, first pool store in Nevada. Please Call . Thanks Melissa I am sure that information will help a lot of my site users. I am looking for a complete skimmer box for a muskin pool. model # A4372. If not available is there another box that could replace it ? About seven years ago, I purchased and installed an 18' x 33' above ground Muskin pool. It has Metal strips holding the liner to the top. The pool and liner are in excellent condition, but the metal strips are beginning to rust as I use the salt/chlorine - chlorinator method to keep the pool clean. What should I use to change these? When I do take them off are they going to damage the liner? Hi George. 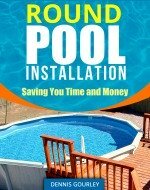 Changing the metal rods on an above ground pool is fairly easy. I recommend lowering the water level to about half way. This releases the pressure on the top rails and will make it easier getting them back into place. Under the metal rods are pieces of plastic coping that go directly over the liner. These should protect the liner from the rods cutting into it. All I do to remove the rods is to lift up on the coping until the rod comes loose. It's OK if the coping comes off also, just put it back on exactly as it was. I have seen these rods get extremely rusty and literally fall apart during a liner change. It is a good idea to keep an eye on them and change them before they get that bad. If they are not flaking and dropping rust into the pool they might be OK for a while, maybe until the time comes for your next liner change. That's really the best time to change them because if they do fall apart they are not dropping rust and pieces of metal into your pool water. For replacement parts you could check this site, it's the only place I know of selling Muskin Pool Parts. 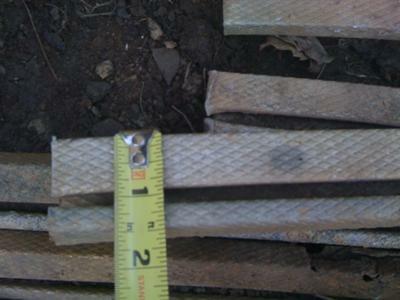 I need to replace an 18x33x48" Muskin pool wall, which has rusted. Any idea where I can buy one? Hello, I would think that anyone's metal would fit. Measure the thickness of your wall. Measure exact height of your wall. Measure exact length of your wall. With your measurements in hand it is time to shop. If a wall too long, you can cut it to size. If it too short, there is no way to strech it to fit. Hi Paul. This is, for the most part, all correct. I'm not sure how important the thickness is, never gave that much thought. You do want the new wall to be longer, not shorter. Be very careful with joining the ends. If you overlap a wall and add two or three rows of nuts and bolts you will be fine. Just make sure it is secure. I have an 18 x 33 oval pool with a Muskin skimmer. I checked the Muskin website and the basket is no longer available. My skimmer works fine it's a A2014 skimmer, the mfg# for the basket is 62035. ANY suggestions?? Are you still looking for the rectangular muskin skimmer basket? Hi Terri. It looks like a standard beaded liner might fit it but I would check with someplace like In The Swim before ordering one. They should be able to tell by your photo what brand pool it is and what liner is needed. The only Pool I know of that had a wall made of interlocking panels is an Esther Williams. It might be a Muskin but I am guessing not. Maybe someone will recognize it and let us know for sure. This is the same pool I have. What kind is it? I just had a wall split and I need to buy more of the wall slats. 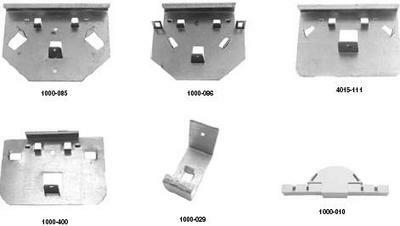 The bottom rail is aluminum and the attached deck is also aluminum. You may have a hard time finding parts. I've checked for the actual replacement parts at local stores, with no luck. I was told to try online and still no luck. The only advice I was given was to increase the size of the wall to accommodate a larger fitting. Is this suggested? If so, HOW? We bought the pool from Sears, it is a alpha/delta pool. We want to replace the bottom track that holds the wall. I was wondering if the track for the Muskin pool will fit? did you ever find a bottom Rim for your pool. 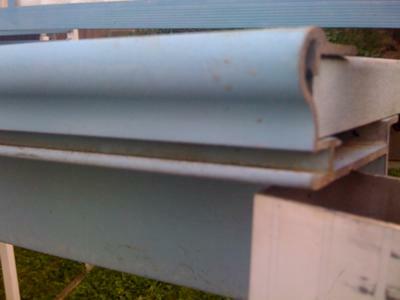 I just got a Muskin 15X30' pool and every one of the bottom Rail pieces were completely rusted. I need to find some replacement pcs before the spring. any help you can provide would be appreciated. We were a muskin service center for years and I am now going through my old inventory and have a lot of plates, rails top and bottom, a few skimmers and other parts. I cannot find replacement caps for the top rails. Im looking for as many top caps as i can find for my muskin pool. Any ideas on where to find them, or of there is another cap that will work? We need the curved & straight sides for our Sears pool. Any ideas where to get them? I just got a Muskin 15x30' pool from craigslist. When I got the pool I found that 6 of the foot plates are badly rusted and all of the bottom rim is rusted. The parts were falling rusting apart as I picked them up. I could not find a solid piece to get a pic or measurement. Can I buy a bottom rail from any company as long as the curve matches the top rail? I have not been able to find any Muskin bottom rails. I have a Muskin (15' round - 48" deep) above ground and need a new wall for it. Do you know where I can find this? Previous replacement orders were available at searsparts.com but doesn't seem to be available. I DO NOT have a model number. We have a 20 year old Muskin 18 x 48 round above ground pool and I am trying to find a top rail for it that has rusted, the rail is 52' x 4'. I have acquired a Muskin cb24 pool but moving it i have 5 bottom wall track supports that are rotted, need help locating new ones. Looking for a replacement inlet jet for old Muskin above ground pool.